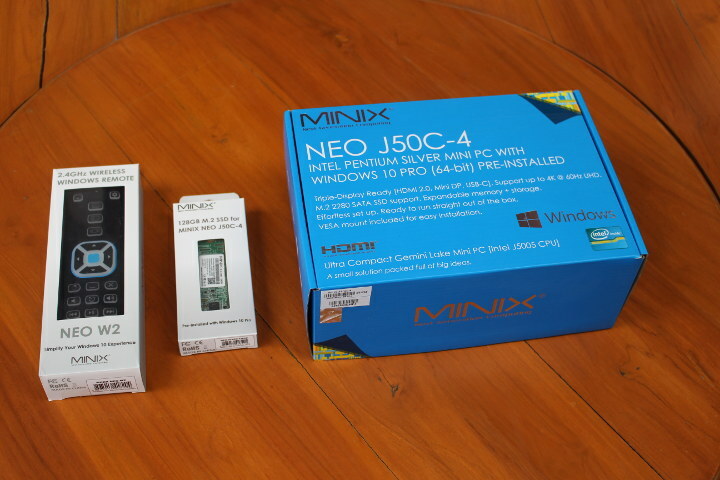 MINIX has just announced a new Windows 10 Pro mini PC with MINIX NEO J50C-4 mini PC that just looks like their previous models like MINIX NEO N42C-4, except it comes with a Pentium Silver J5005 “Gemini Lake” processor. The company sent me a sample together with some accessories, and it will be interesting to see how it performs. But before I’ll go through the specifications, checking the devices and some extra accessories namely NEO W2 windows remote control, and an M.2 SSD pre-loaded with Windows 10 Pro. 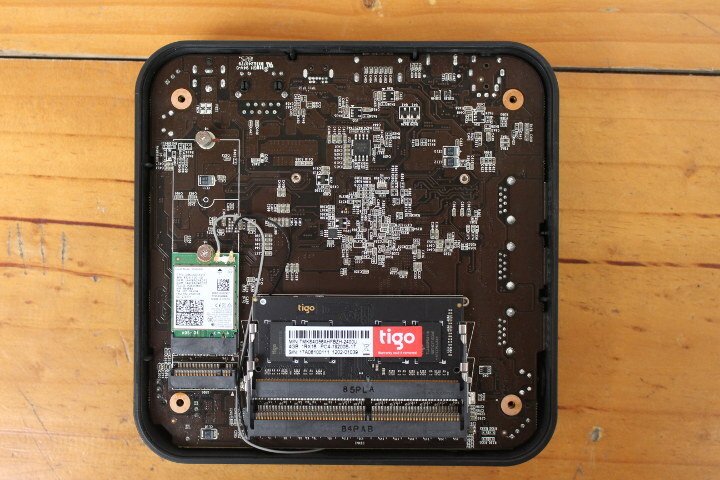 Finally, I’ll have a look at the internals in the first part of this review. 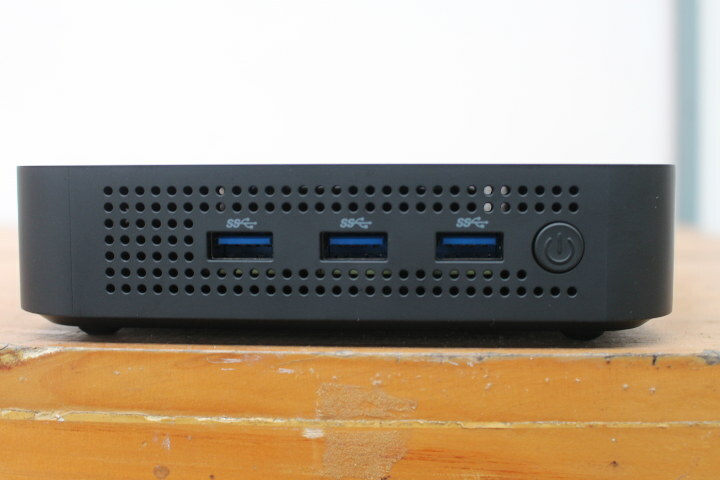 The mini PC runs Windows 10 Pro 64-bit operating system. I received a parcel with three packages inside: NEO W2 “2.4 GHz Wireless Windows Remote”, 128GB M.2 SSD for MINIX NEO J50C-4, and MINIX NEO J50C-4 mini PC itself. We can double confirm the specifications on the back of the mini PC’s package, and it’s indeed equipped with Intel Pentium Silver J5005, the most powerful processor of Intel’s Gemini Lake family. 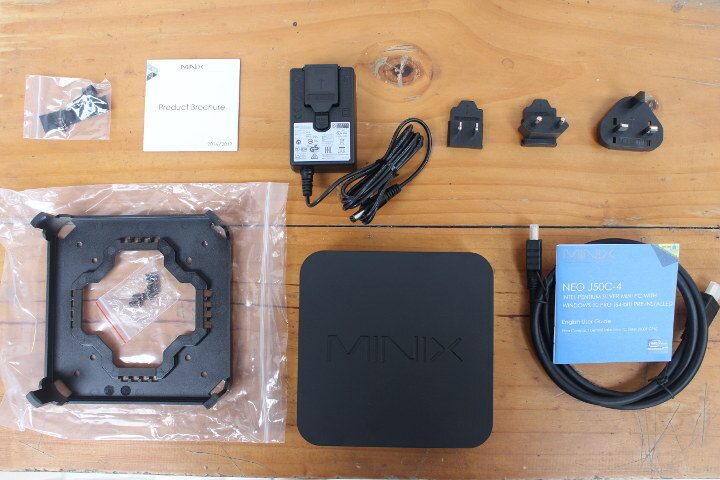 We’ll find the device with MINIX branding, as well as the usual accessories for MINIX mini PC: VESA mount, 12V/3A power supply with US, EU, and UK adapters, and HDMI cable, a set with screws and optical S/PDIF adapter, a HDMI cable, a user guide in English, and a product guide. 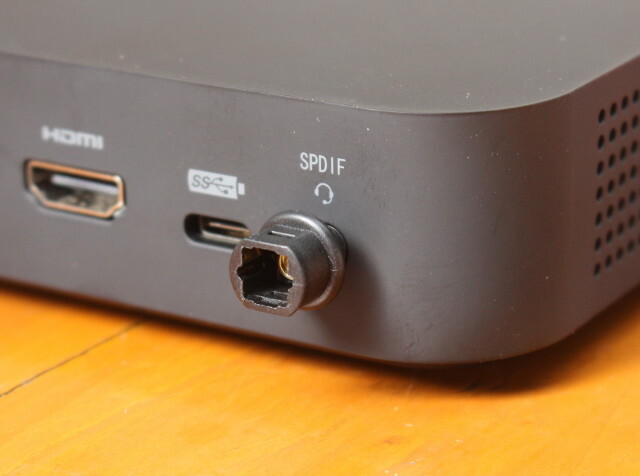 The rear panel includes the DC jack, Gigabit Ethernet, mini DP and HDMI 2.0 video output, a USB-C port, and 3.5mm headphone + S/PDIF. 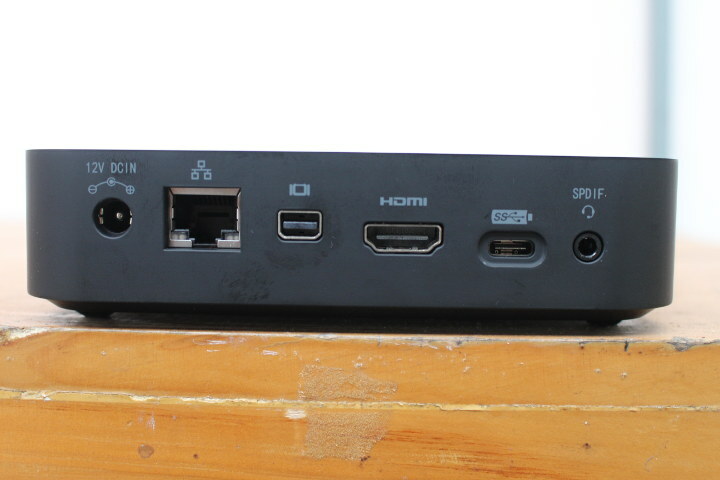 The 3.5mm port can be converted to optical S/PDIF using the adapter as shown with MINIX NEO N42C-4 mini PC below. Finally, we’ll find a Kensington lock, and a reset pinhole on the other side of the PC. 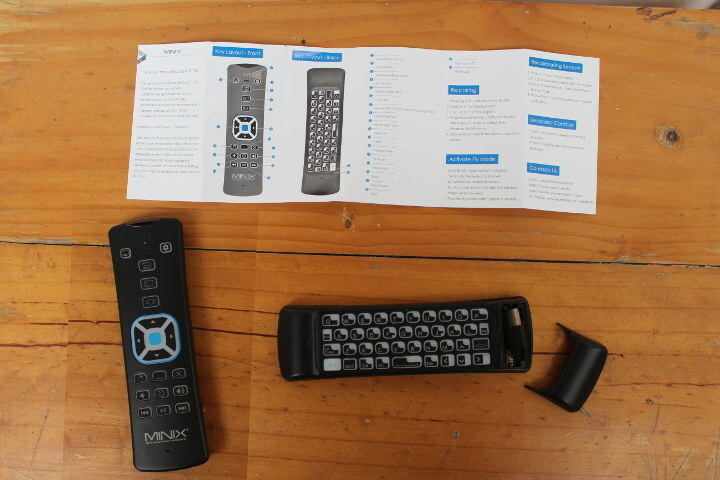 MINIX NEO W2 remote control looks like any other 2.4 GHz air mouse, but it’s specifically made for Windows 10 with the Windows key and other shortcuts, the remote and keyboard sides are backlight, and it includes a 6-axis gyro for tracking motion. You’ll find the RF dongle inside the battery compartment, two AAA batteries are required, but not included, and you can expect a range of 10 meters. I’ll probably do a separate review for NEO W2, and beside Windows 10, I’ll probably it with an Ubuntu 18.04 machine as well. The SSD also looks like any M.2 2280 SSD, except it’s pre-loaded with Windows 10 Pro. It has just been made to make life easier for people who want to install Windows 10 on a faster device. 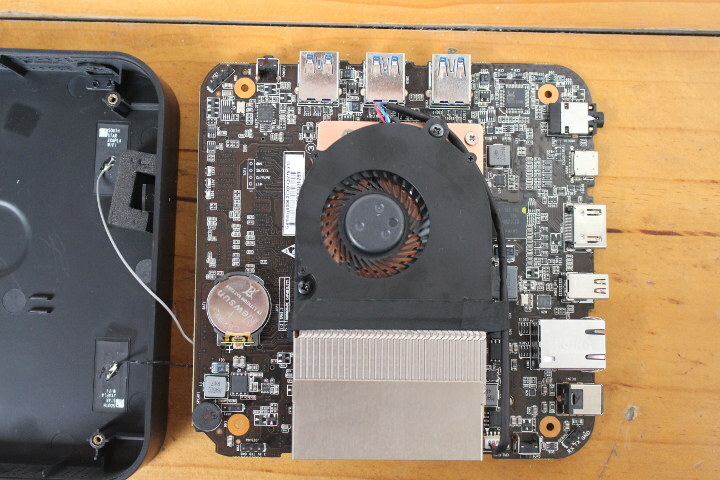 Open the mini PC is very easy. 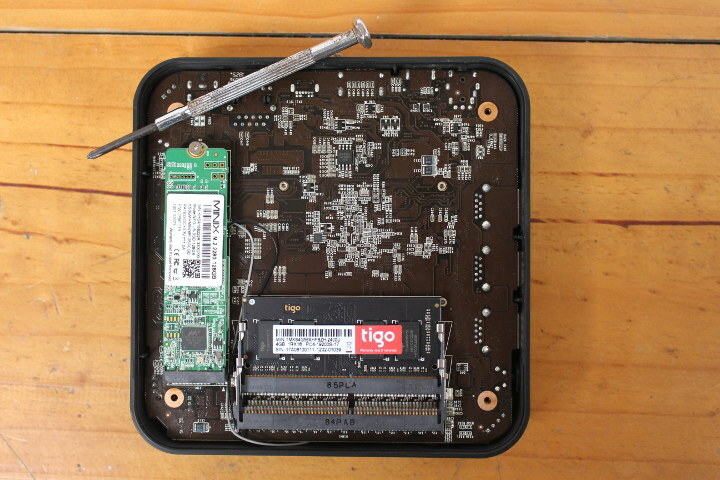 Take out the four rubber pads on the bottom of the case, and loosen the four screws. The cover should then come off without much efforts. 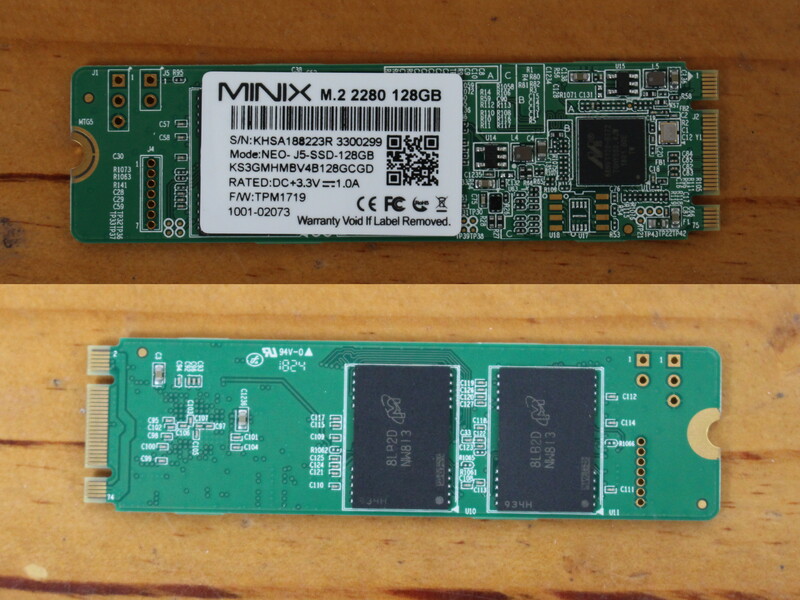 If you like to purchase an upgradable mini PC, you should be happy with MINIX latest mini PC since it comes with two DDR4 SO-DIMM slots (up to 16GB in total, 8GB per channel) fitted with one 4GB TiGo RAM stick, an M.2 slot with the wireless module, and another M.2 socket for SATA SSD. 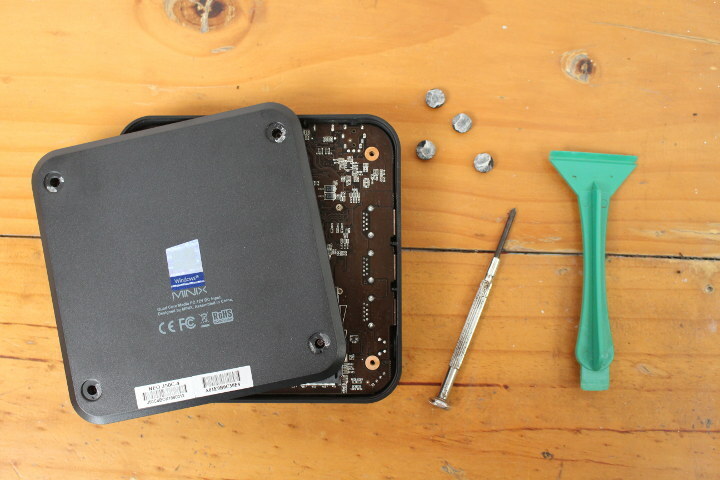 There’s already a screw for the M.2 SSD inside the mini PC, so just take it out, insert the SSD, and put back the screw, and you’re done with hardware installation of the SATA card. Be reminded you should active Windows 10 Pro, then disable the eMMC flash in the BIOS, before installing the M.2 SSD. Finally, I’ve taken out the board completely from the case, no extra screws to remove, and it comes out pretty easily. 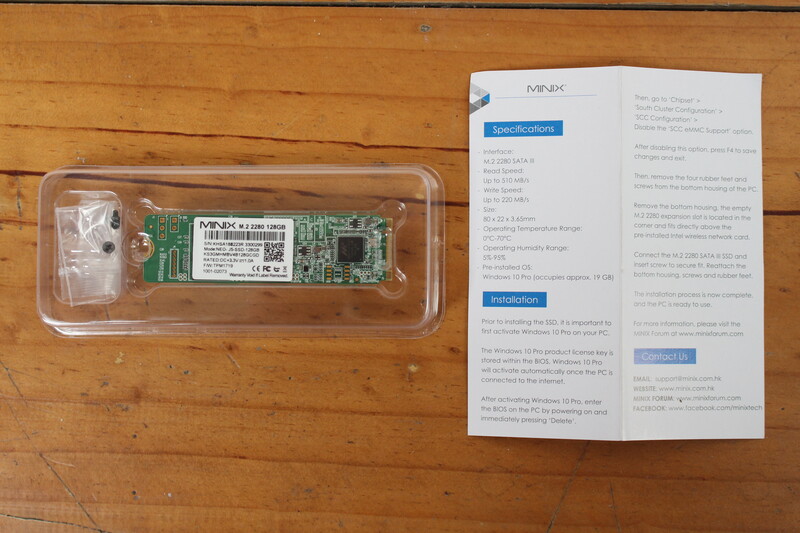 MINIX NEO J50C-4 is not a fanless design, but as I found out in MINIX NEO N42C-4 review, the fan is barely audible. We’ll also notice the RTC / CMOS battery, and three headers for debugging. That’s all for today, I’ll probably test the NEO W2 remote control first, before doing a full review of the mini PC itself. 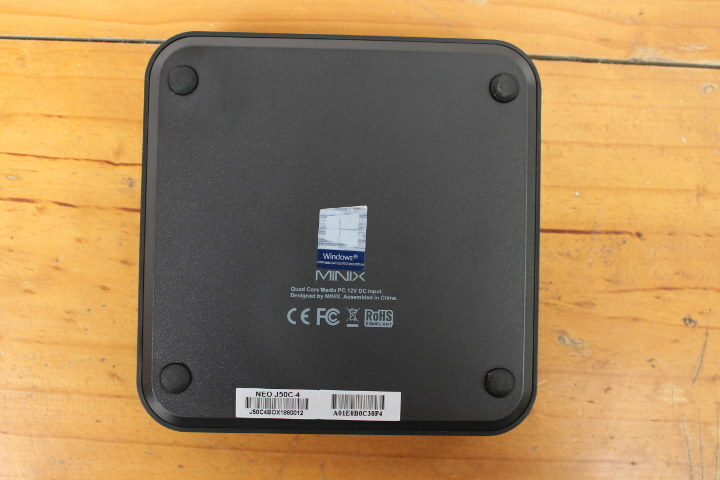 MINIX NEO J50C-4 mini PC and the 128GB SSD are slated to be released in early October for respectively $299.90 and $64.90. 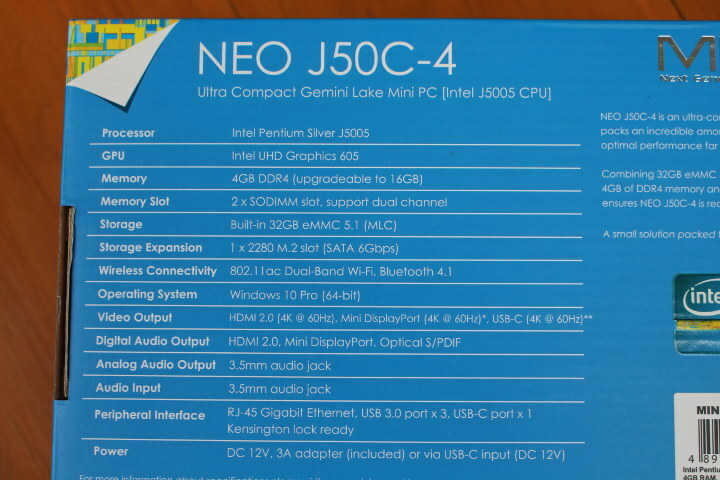 However, when bundled with the mini PC, the SSD will cost $54.90 instead ($354.80 in total). MINIX NEO W2 Windows Remote is already available for $34.90 if purchased separately, or $24.90 when bundled with one of their mini PCs. ” I have a train to take very soon, I’m a bit in a rush, and I’ll be away from home/office for a few weeks/months…”… are you keeping us in suspense, CNX? Nothing special. I’ve basically been told I had to go on holidays or else. So now I’m close to the sea, but still write for CNX almost daily. but just less articles (maybe one or twice a day). When doing the full review could you see if it does HDR or HD Audio like Dolby Atmos or DTS-HD.MA passthrough in Kodi? Not fanless, meh. 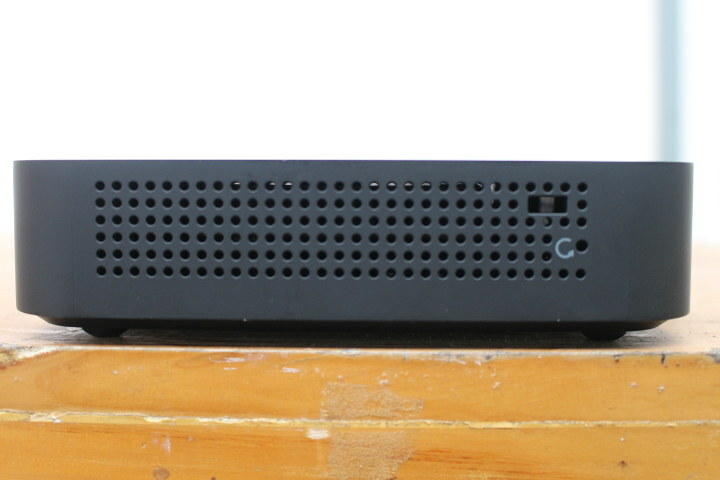 NUC7PJYH + Akasa Newton JC case much more worth then. can you check if m.2 M slot supports PCIe besides SATA ? 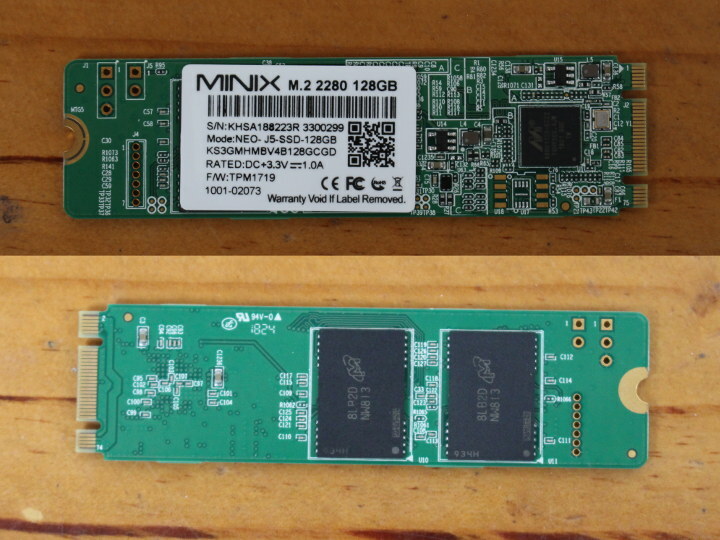 MINIX is a well-known operating system. Why reuse an established name which will affect the product’s discover-ability and confuse people?